Spudz is one of our new brands here at The Boy’s Store. Spudz Kids is a brand that cares about kids, parents, and our environment. The cotton used to create these fun and resilient designs contain 100% American Cotton. This saves resources and promotes jobs. All of their fabrics are pre-washed to prevent shrinking. This spares the stress of clothing that doesn’t fit or looks terrible after being washed at home. All of the screen prints are tested not to crack. This means after multiple washes — and if you have kids you know what we mean by multiple washes — the images will not show wear. Spudz is definitely a brand worth checking out. Boys Shark Shirt By Spudz: This fun light grey shirt features a screen print of the great white shark. It also features some important and fun facts about the shark. 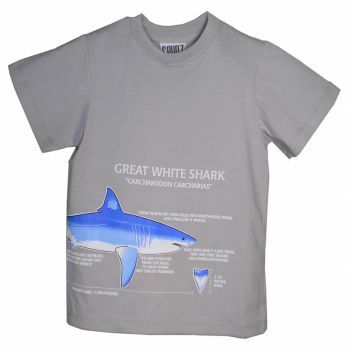 Now your kids can learn about the most frightening shark while sporting their brand new shirt. 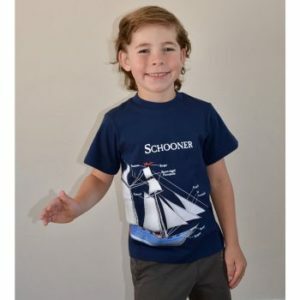 Boys Schooner Shirt by Spudz: this fun navy blue shirt features a classic schooner on the front. It also features facts about the large sails, the boat itself, and how it was sailed. If you have a mini boat enthusiast in your family this shirt will be sure to impress. be on the lookout for more items from Spudz. Check out of Facebook page and be one of the first to see new items as they come in! This entry was posted in Brand News, Featured item and tagged boys clothing, boys online shopping, boys shirts, brand news, featured items, new shirts, schooner shirt, shark shirt, shirts, spudz, spudz kids, the boys store on May 7, 2018 by Lacy. Have you seen all of the incredible suits that Appaman has to offer? Appaman is the king of suits for boys. If you want your little man to look good for an important event then Appaman has them covered. Check out the different Appaman suits options available at The Boy’s Store now. 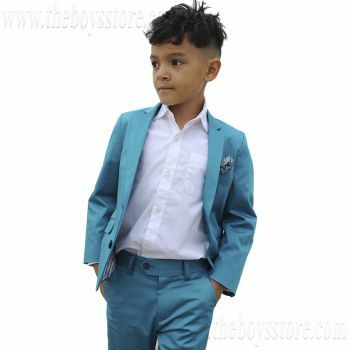 Appaman suits are one of the most popular suits we sell at The Boy’s Store. The Mod suit is a very modern take on the suit for boys. It is comfortable, features an adjustable waist and four pockets. Boys love it. Parents love it. Best of all, it is available in many different colors like black, chambray, Greign Plaid, Khaki, mist, navy, seersucker, and the newest color Teal. Don’t forget a great suit is nothing without a great shirt, and Appaman has many different options. This shirt is perfect when you need your boys to look nice. It can be worn with jeans, nice pants, or the Mod Suit. 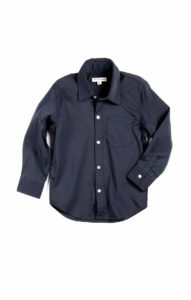 It is available in navy, amethyst, red gingham, and blue gingham. This entry was posted in Featured item and tagged Appaman, boys dresswear, mod suit, new appaman, new suit colors, new suits, suits, the boys store on April 16, 2018 by Lacy.